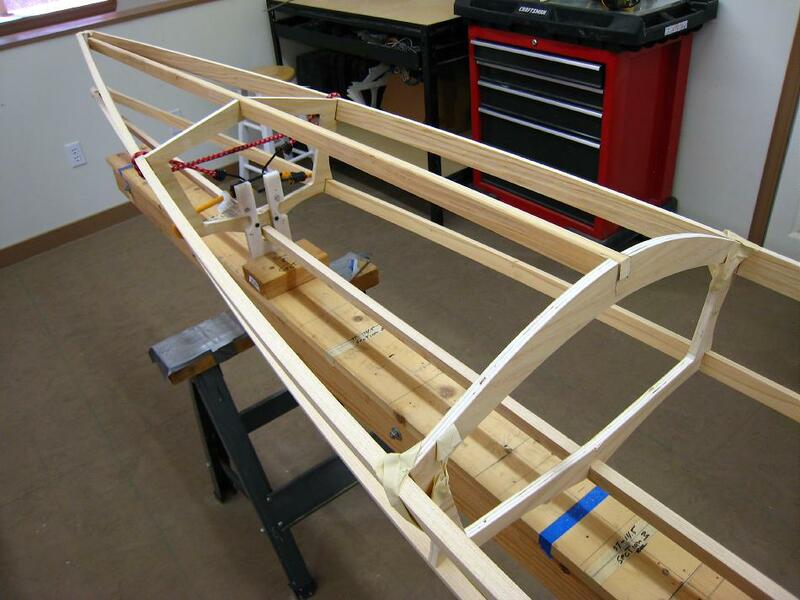 The 1″ X 5/8″ forward deck stringers are trial fitted at this time. The notches in the cross sections are 3/4″X 5/8″, and the stringers are 1″ X 5/8″. You could notch the deck stringers if you want them to sit flush as in the pic above . Cutting the notch in the cross section any deeper could weaken the cross section.